Posted on January 8, 2011, in Kalimdor, Oddities and tagged alliance, Barrens, crossroads, demon, Northern Barrens, possessed, wagons. Bookmark the permalink. 2 Comments. 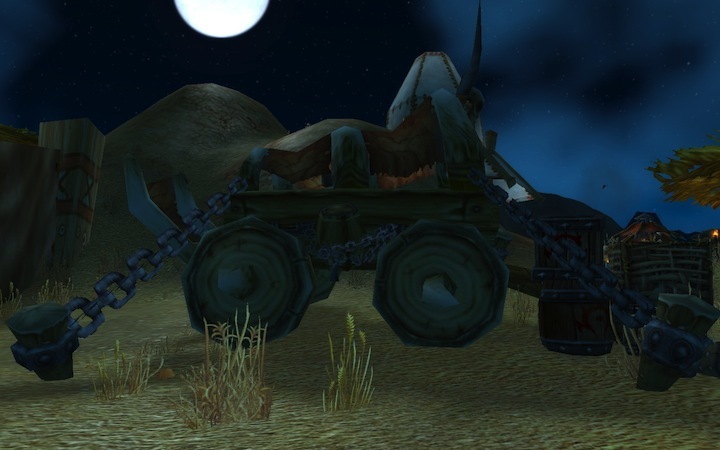 I’m completely in agreement that we’re talking about possessed wagons here; there’s just no other reason to have them tied down. Now, that would be rather awesome.. medieval Christines on a rampage through the Barrens. What else could one wish for? It would definitely give the kodos something to play with. Mwa ha ha!